Your consumers are empowered. And with an unprecedented scale of global collaboration pushing for an even more connected society; as a business, your most immediate threat may not even share the same country or continent with you. We have digital platforms to thank for this shifting business field. Let’s see how you can compete for survival. What is a funnel and how does it benefits you? 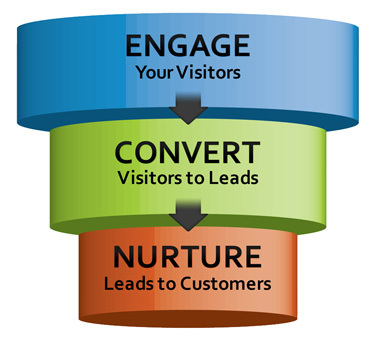 A funnel is the process of transforming your website visitors (traffic) into customers. TOFU: Awareness stage : The user realises a need that requires a solution. She looks for options and discovers plenty of information relation to her needs. The content is generalised, engaging and is mainly used for the purpose of guiding the prospect into the deeper and richer part of the funnel. The landing page must demonstrate its relationship to the user’s search intent ( it must show the promise to supply relevant information). Appealing to the buyer persona you have identified for your products/ services. Including the above listed; there are many more methods to use. These collective processes are known as Landing page optimisation; and these are absolutely crucial if you want to find online success. Contact us if you want to optimise your landing page in a way that converts. MOFU: Consideration Stage: The content found here must highlight benefits of using the service; the lead is weighting her options at this stage and you must demonstrate why your product is the solution to her problem. Using videos and other motion graphics to communicate information at this stage is crucial because the user wants to find out more about your product or service. You can’t write out detailed copy to do this. Your lead will lose interest if you do this and bounce away. Where words reach their limit, animations and other visual elements can carry your message in a much more engaging and effective way. To increase your conversion rates, it is important to create content that does this. Content is rich and targeted. Content points the user to her goal. Content is engaging and informative. In 2015, we helped one of our clients to optimise their MOFU content. And we continue to help optimise conversion funnels. Get in touch with us at here to start engaging your prospects. BOFU: Decision stage: The last stage of the funnel. The lead that makes it here is almost your customer; you have demonstrated that you are capable of solving their problems and are now looking for another reason to buy from you. Extremely specific content ( If you are selling a product, this would be the check-out stage). Fewer distractions (from the visual perspective). Fewer out links to other pages. A funnel is, therefore, the process of guiding consumers in decision-making, regarding your products and services and videos and animation are gaining favour within the market to achieve greater. It converges onto the product that the consumer was searching for when they discovered your site. If your funnels are inefficient or ineffective, then your website will not produce business results.